Gloved hands, wet hands or oily hands are not an issue when using the 2720 with Gesture Activation Control technology. Turn on the light with a wave of a hand. 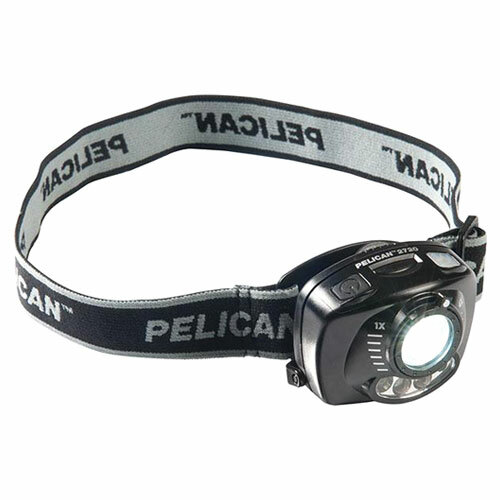 Additional features include: Low level red light that preserves night vision, for nighttime applications. Signaling red (S.O.S) beacon light. Optical 4x magnification allows for a wide or penetrating beam. Including a variable light output from 100%-10%. Rubber head strap included. Is this an intrinsically safe headlamp? It does not appear to have any hazardous condition safety ratings or classifications. But, the #PL-2745 does. You can also view a helpful PDF by clicking here. This PDF helps to break down the different classifications, what they mean and to which industries they commonly apply.